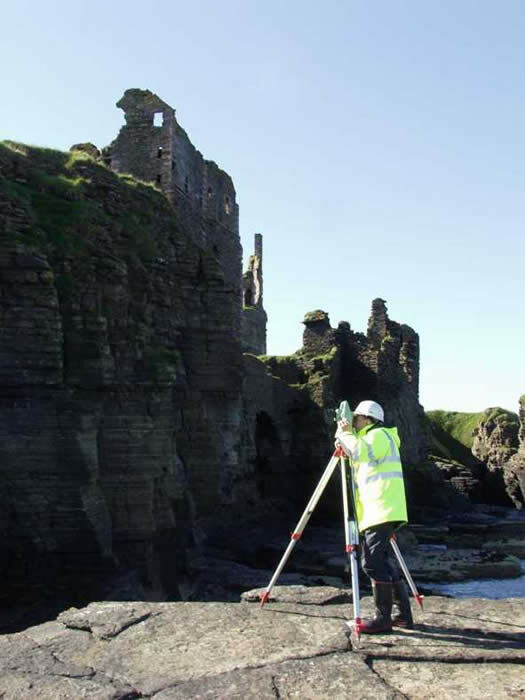 Metric survey represents the main strand of our geomatics service and we have a strong reputation for producing accurate and detailed drawings of many types of historic buildings and structures. We prioritise investment in high-quality survey hardware and up-to-date survey software packages which allows us to maximise on-site efficiency and minimise off-site processing time. Recent surveys include the ground plan of northern Europe's largest Gothic cathedral, York Minster. We have also completed complex surveys of a variety of sites including Ledston Hall and Gardens, a 16th-century stately home and grounds, Stratford upon Avon Guildhall, a 15th-century timber-framed hall, the medieval buildings of Lincoln Castle, and Old Railway Station, York, an early 19th-century urban station. If you would like to discuss any apsect of our geomatics service or would like a quotation, please get in touch. You can also take a look at our project portfolio to see what we can produce for your project.